Secluded woodland retreat on over 10 acres! 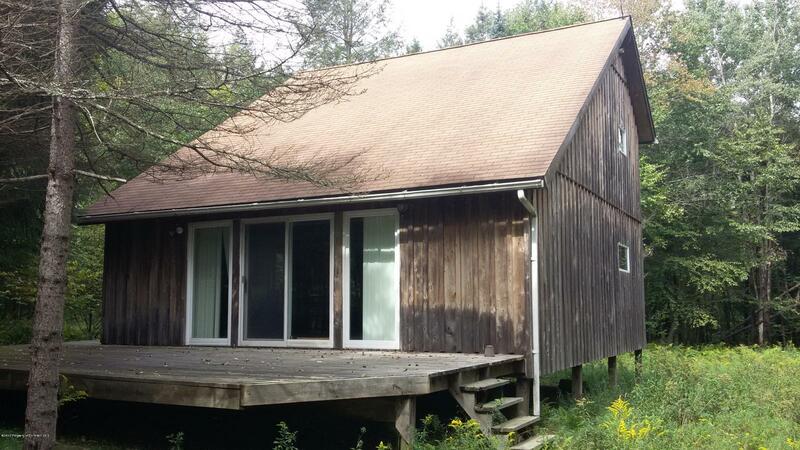 This spacious 3 bedroom 2 full bath cabin features a large wrap around deck and vaulted ceilings. A great summer or hunters getaway, could easily be converted to a year round residence. Includes furnishings and producing gas lease. Jones Rd is a 3 bedroom, 2 bathroom Single Family home for sale in Montrose, PA. It's listed for $110,000 and it's been on ERA.com for 218 days. Built in 1986 , this property has a lot size of 10.1 Acres. This listing is provided courtesy of COLDWELL BANKER TOWN & COUNTRY PROPERTIES MONTROSE. Interested in seeing more Montrose homes for sale? Here on ERA.com, you can search for all Montrose MLS listings, save properties that catch your eye, and contact a real estate agent when you're ready to take the next step! Website provided and owned by ERA Brady Associates.